The Latest in a Series of Aviation Adventure Films! Film making is not in the genes, nor is flying when it comes down to it. Both are, however, possible if you put your mind to it. 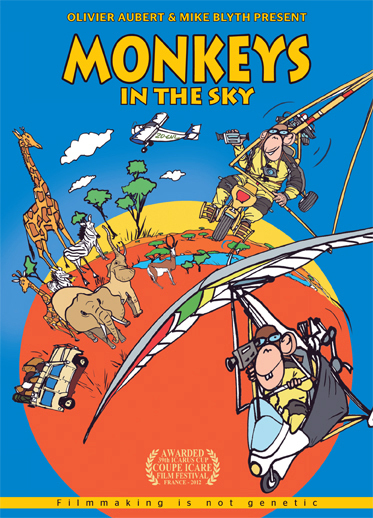 Olivier Aubert and Mike Blyth are both well known figures in the world of adventure aviation. Their contagious sense of humor leaves us no doubt of their motivation and capabilities when it comes to successfully completing yet another unbelievable adventure. The two pilots are like two peas in a pod (albeit an airborne one) and the boundless esteem in which they hold each other is well known. Any lack of experience they may have as filmmakers, is largely made up for by their natural ability to laugh at themselves. What could simply have been "the making of… " has been carefully distilled down to the very essence of the spirit of adventure, showing us the comedy of everyday situations and regaling us with a series of interwoven stories. The richness of the images, wrapped in haunting melodies that seem to have been composed by the drifting winds through which they trace their journey, are enough to make us take flight ourselves. Paths that cross and uncross, chance encounters: each portrait is drawn with the skill of a master draftsman with a steady touch that brings each story to life and makes them unforgettable. As a new day dawns on the African bush, new horizons open up for these two « Monkeys »that have made the sky their playground. The message written in the wake of their propellers is one of optimism and freedom. 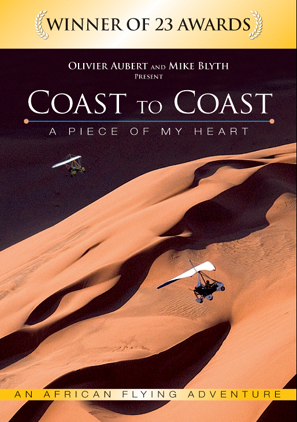 Coast to Coast - "A Piece of My Heart"
The Long-Awaited, Multi-Award-Winning DVD has arrived! Filmed during the Coast to Coast Expedition. "Dear audience, what you are about to see in this film is not the story of Icarus! Icarus, defying the gods, wanted to fly like a bird, but the sun punished him and sent him crashing into the sea. When they take off in their trikes, Mike and Olivier have greater ideals than to defy the gods and gravity. They want to taste the splendour of the world through the span of their wings. To play a small part in the great symphony of the sky. To empathise with the egret and the albatross as they thank fate that they were not born to an earthbound life. Sometimes, they have the opportunity to take one of the many people they meet along the way, as guests in their trikes. They share in the joy of the young Himba girl from Namibia or the little shepherd boy from Mozambique, who climb aboard and realise that the horizon of their life does not stop at the neighbouring village. They made this journey from one coast to another – between these two coasts lies Africa and in Africa lies the heart of this film, beating at the pace of a rhythmic blues song like the wings of a bird in full flight. 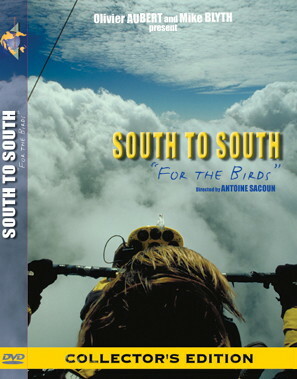 "Coast to Coast" is the story of two pilots searching for beauty in the skies and seeking to spread joy on the ground. And the only moral of the story is that if you want to take off towards freedom, don't forget to unfasten your seatbelt and open your heart." Awards: Winner of 19 International Awards. Click here for details. The World's Longest Trike Flight! Get the Award-Winning DVD! On an epic journey of adventure and discovery, two pilots forge a strong friendship through an experience of the world only recently mad e possible by innovations in aviation. Flying two aircraft that can best be described as motorcycles of the air, Mike Blyth and Olivier Aubert traveled over 3 continents and through more than 30 countries to live a dream and to lead the way in high endurance open air cross country flying. Eight months after departing Buenos Aires, Argentina, they arrived in Cape Town, South Africa, having covered 43 ,000km/27,000mi of high adventure, including braving the icy North Atlantic. Awards: Winner of Award for Best Promising Director, 2002 International Adventure Film Festival, Dijon. Featured at EAA Oshkosh 2003 at the Airventure Museum to wide acclaim. Reviews: Visit the Links page for independent DVD reviews.